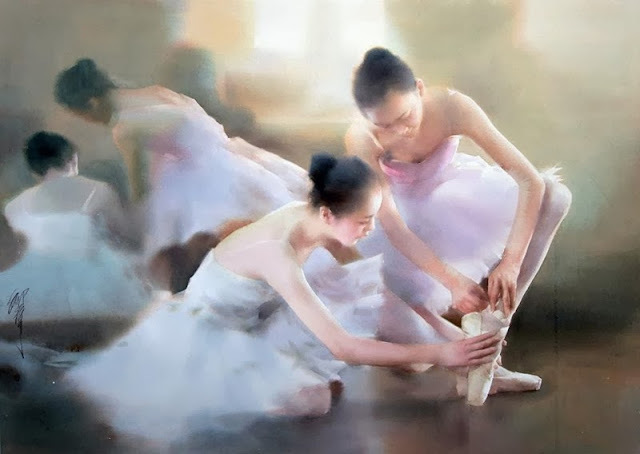 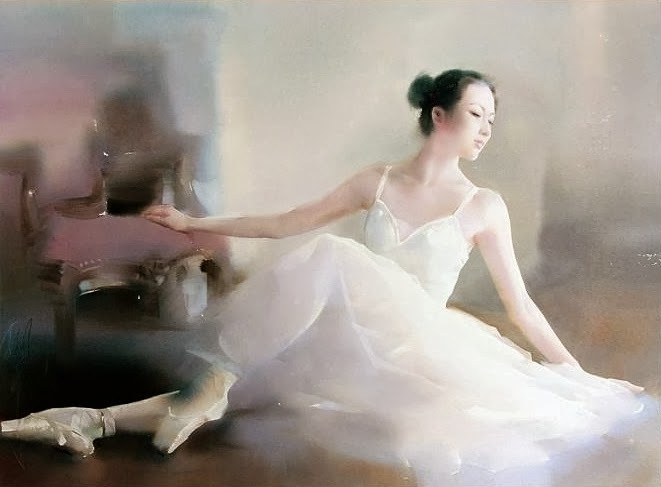 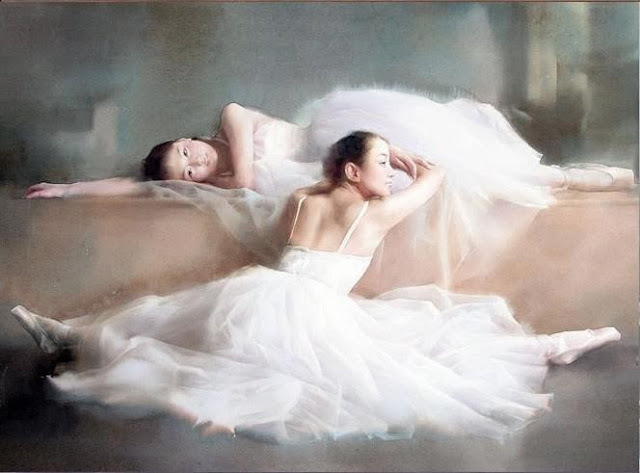 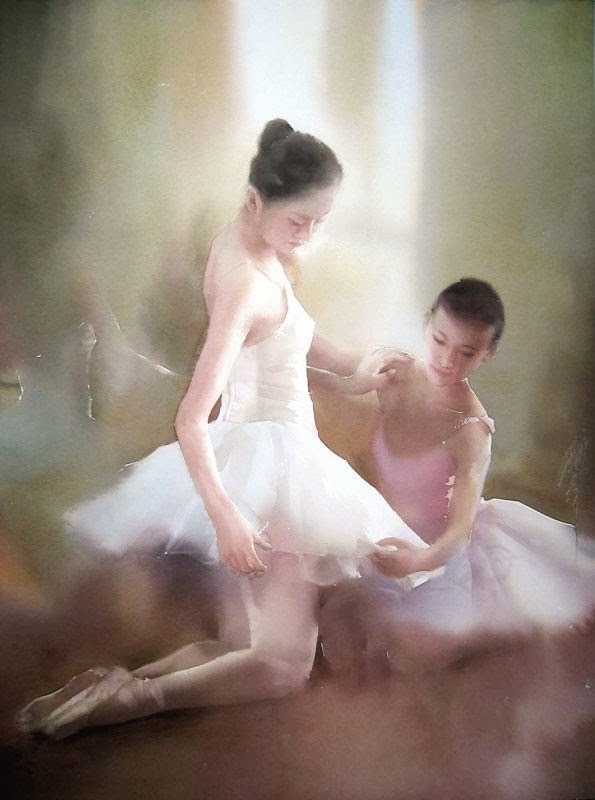 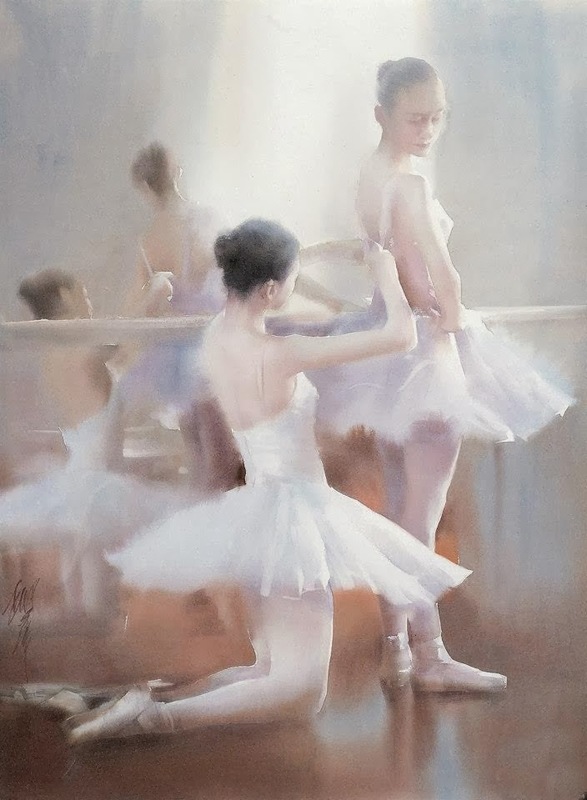 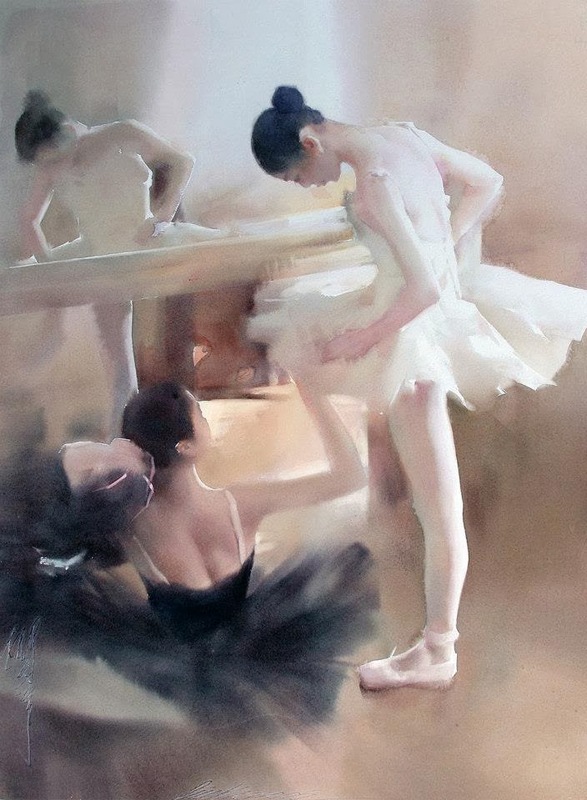 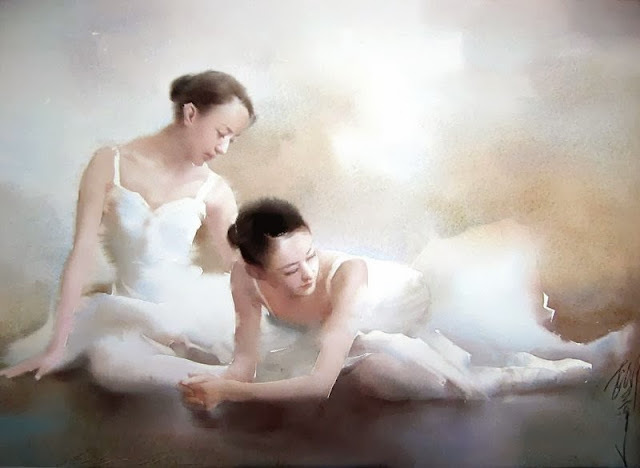 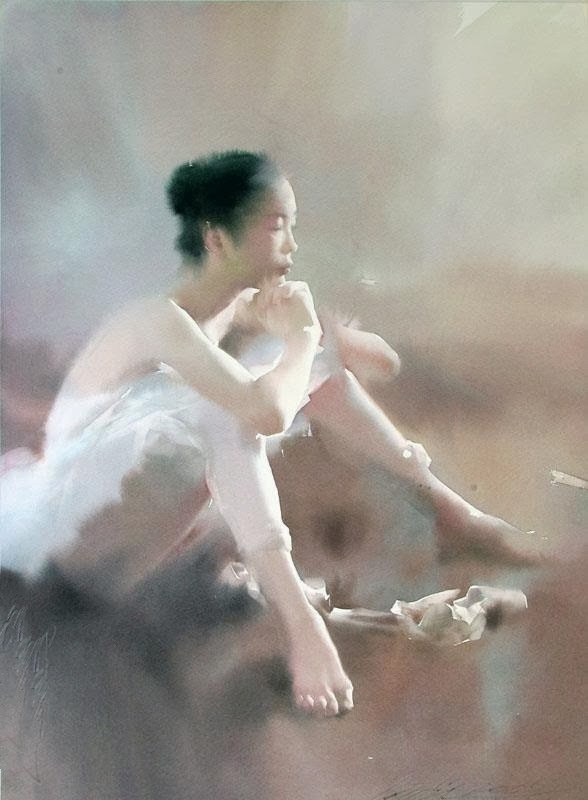 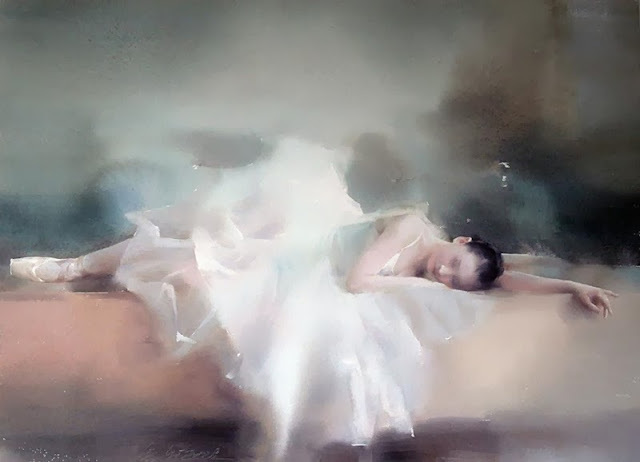 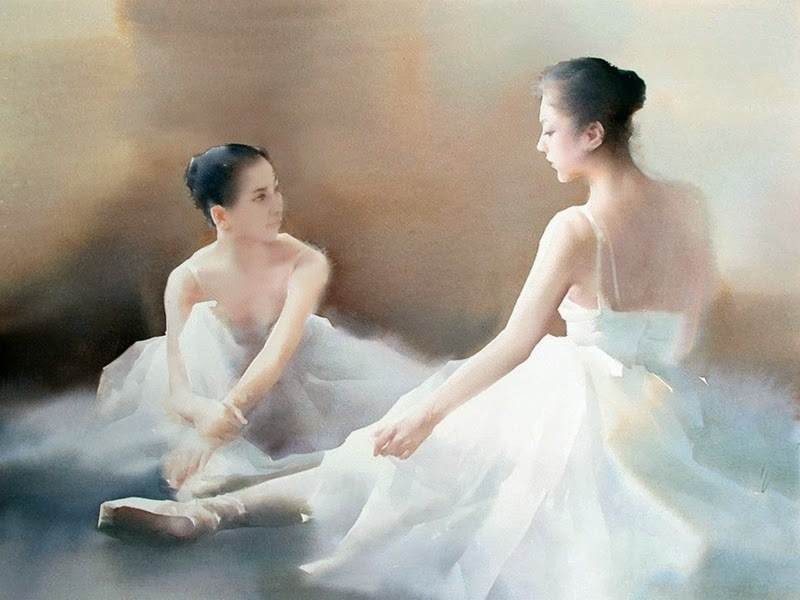 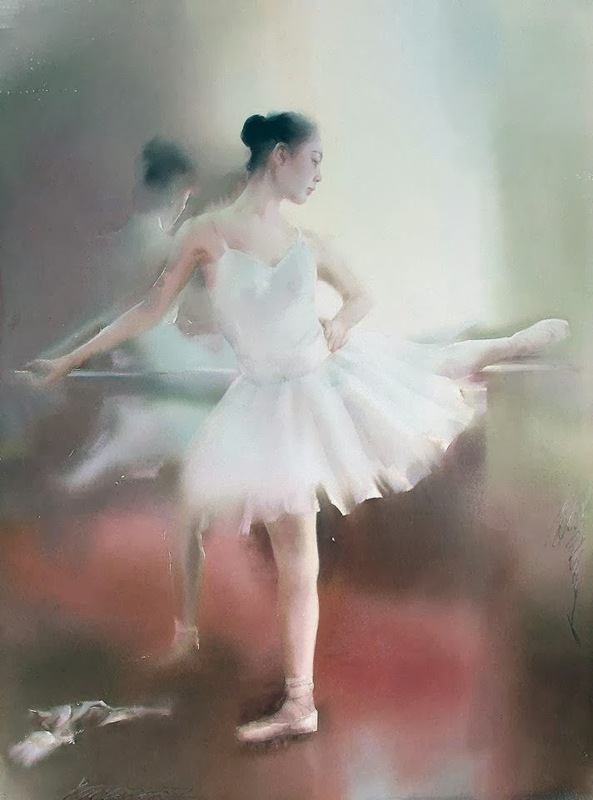 Liu Yi is a painter from China and was born in the year 1958 in Shanghai, China. 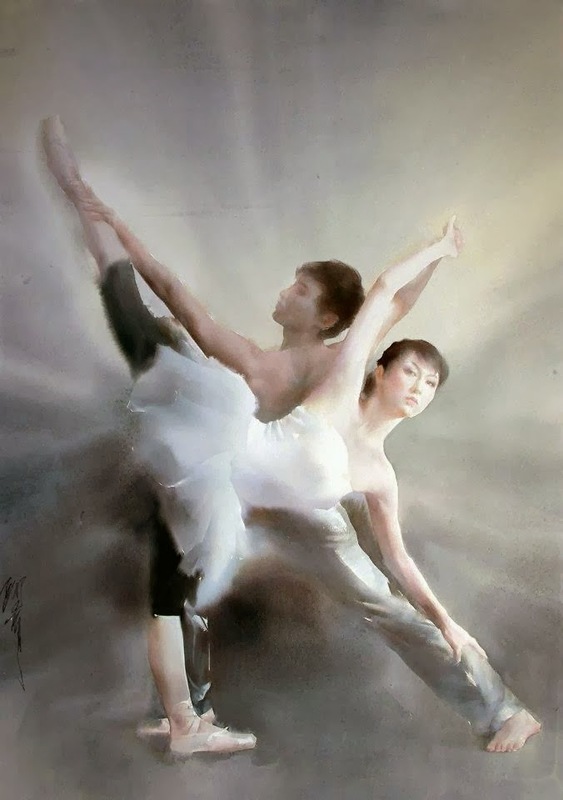 He got his bachelor’s in fine arts from the Hua Dong University for Education. 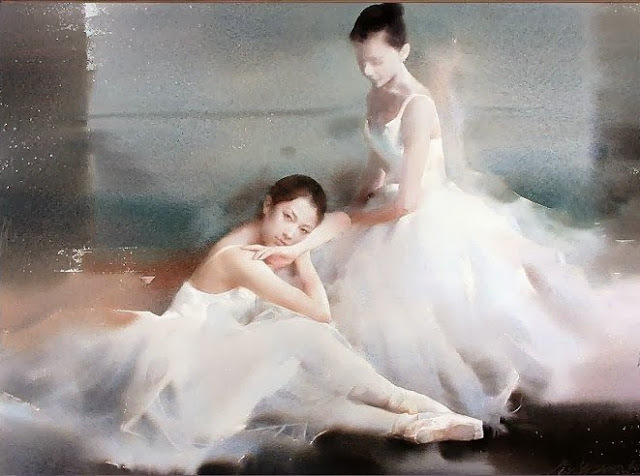 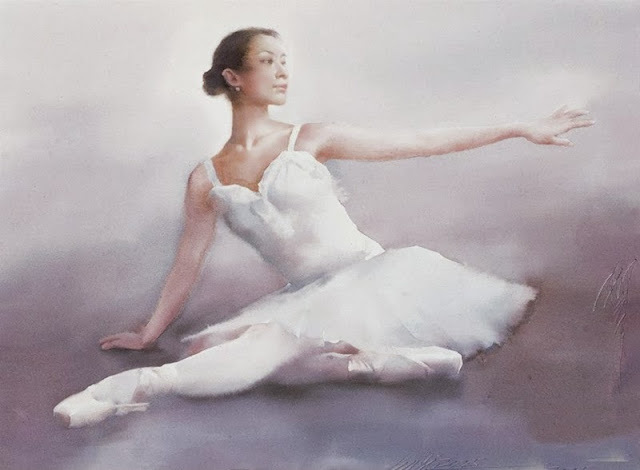 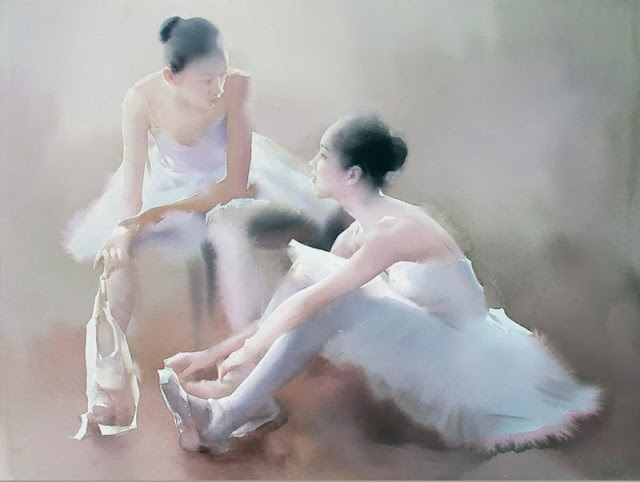 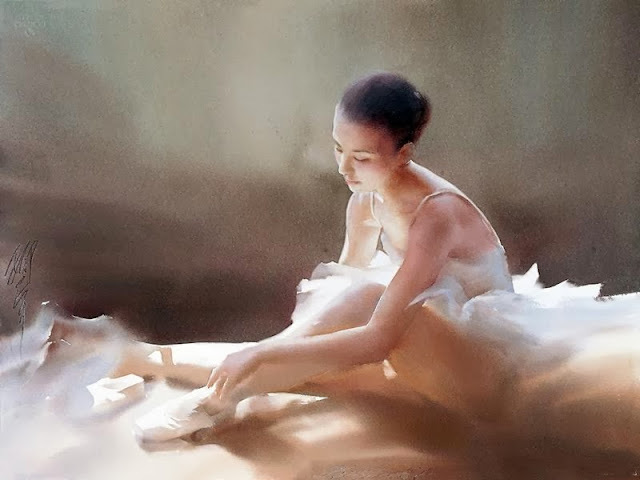 Afterwards, Liu completed his postgraduate studies from China College of Fine Arts in watercolor paint. 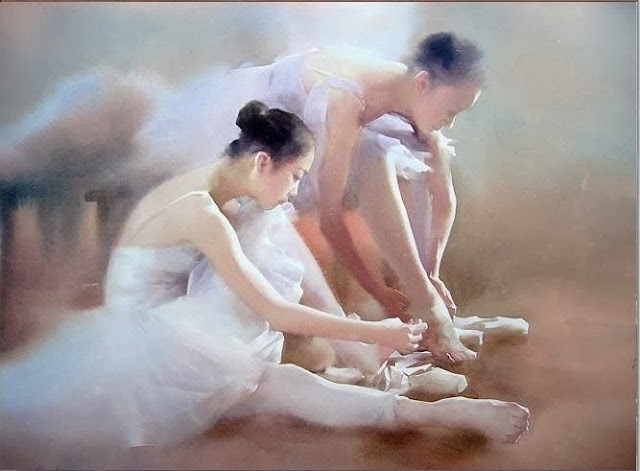 He has worked as a lecturer at the University for Design and painting. 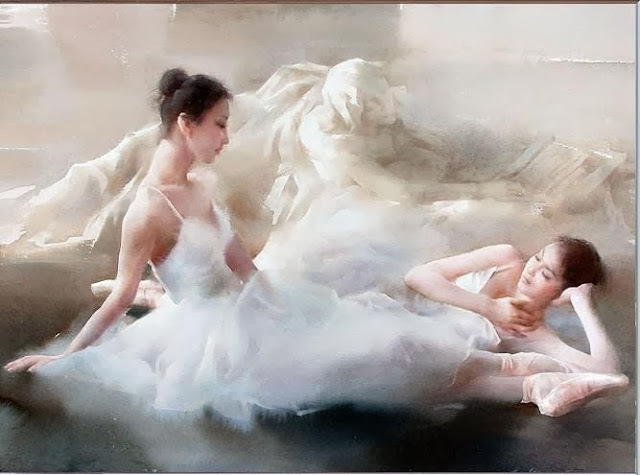 He is a member of several art and painting societies such as Watercolor painting Artists Association and Chinese Artists Association. 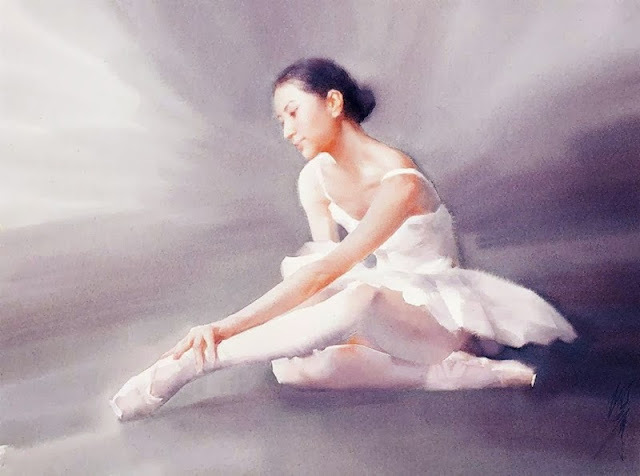 He has worked with Shanghai Watercolor Painting Society as a Deputy President and got retired from there and is currently working as a Deputy Principal of the Shanghai Watercolor Painting Society. 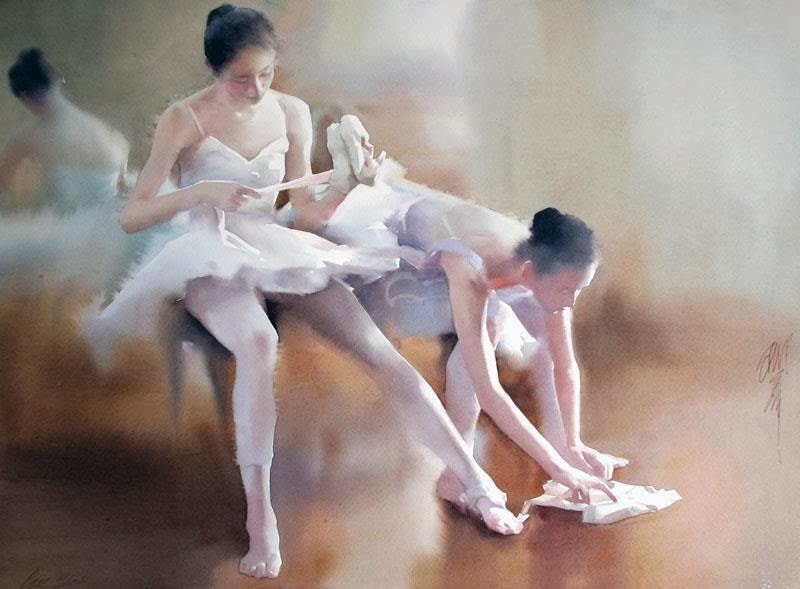 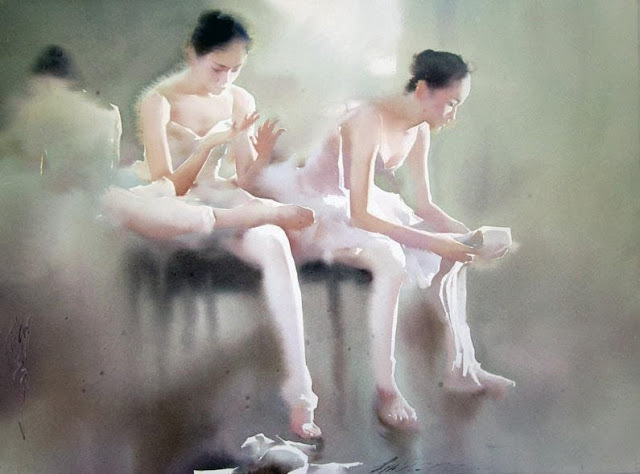 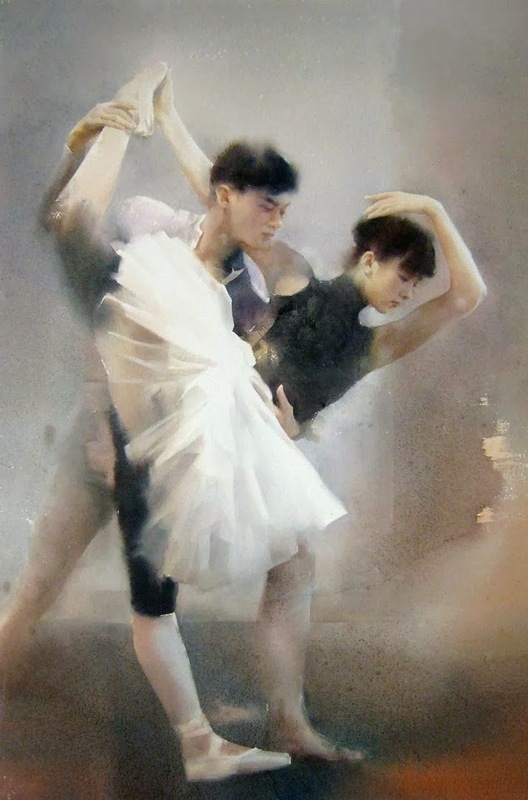 He is one the most famous watercolor artist from China and has earned great respect and accolades from art critics nationally as well as internationally. 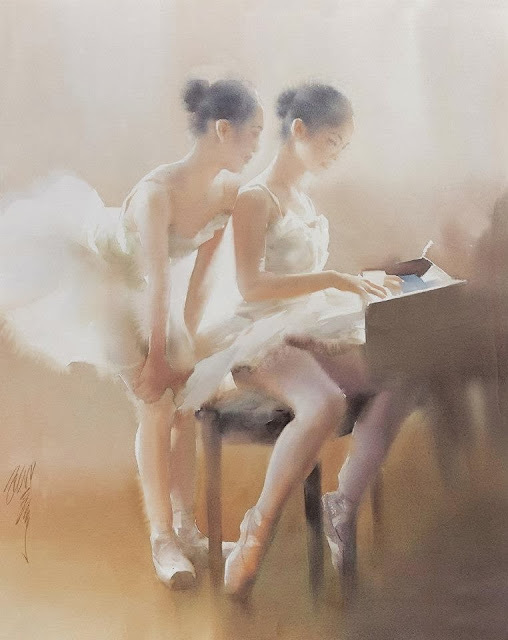 For Liu his main concern is to capture the beauty, atmosphere and mood of light, informal and casual moment of the girls which he achieves by combining water and color. 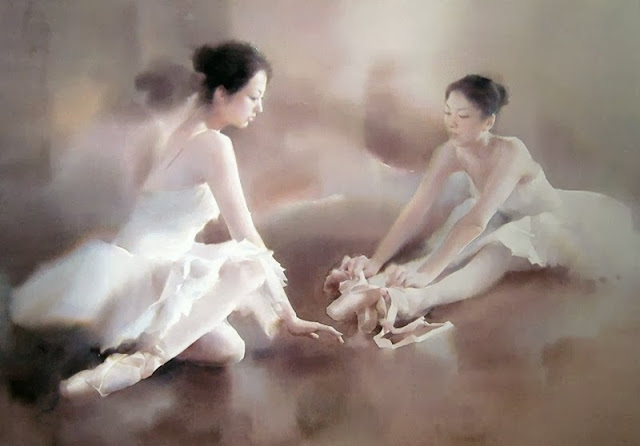 He is an award winning artist from China and has won many distinguished awards in his country. 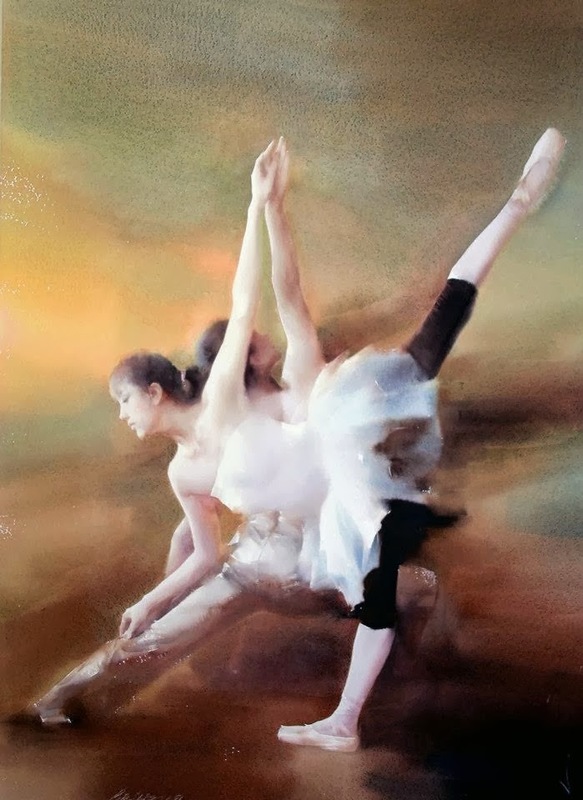 He has been awarded the Charles Comfort Medal of Canada for one of his very charming and beautiful painting named “Dancing”. 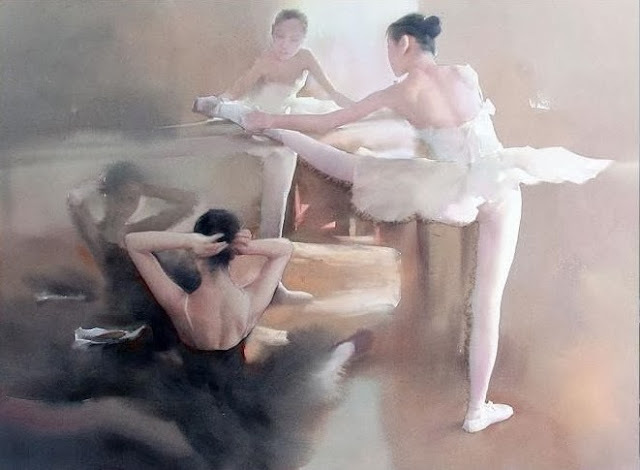 His ballerina series has a theme of “Swan Scenario”. 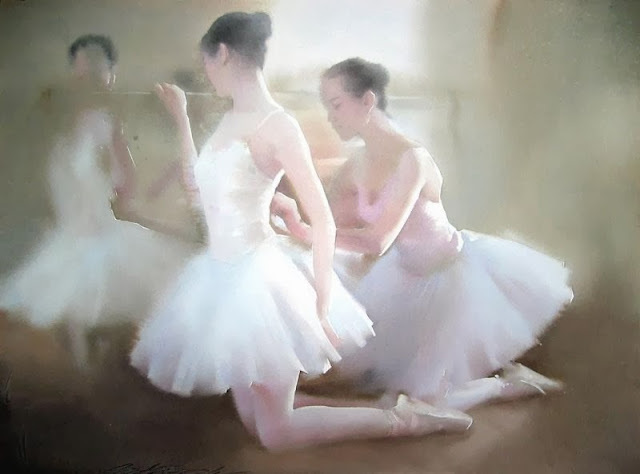 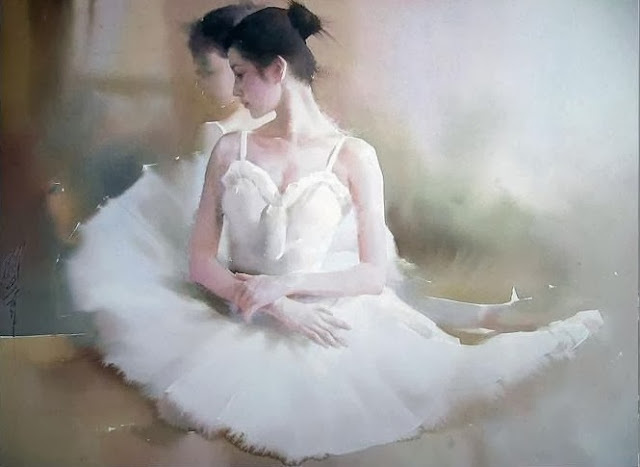 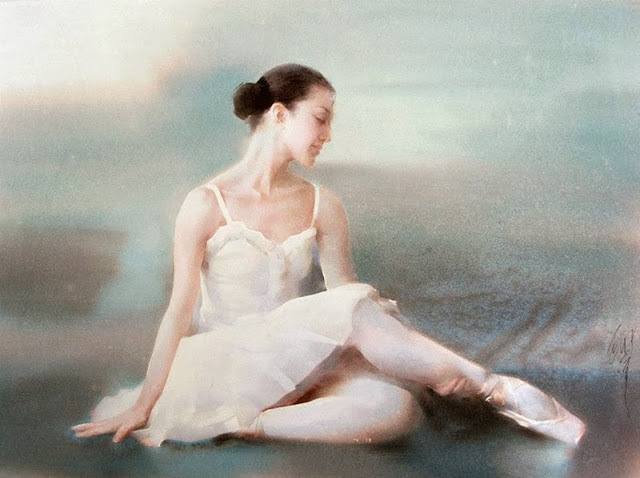 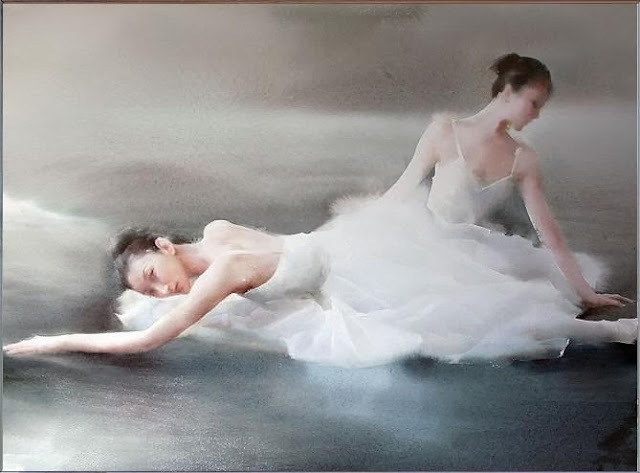 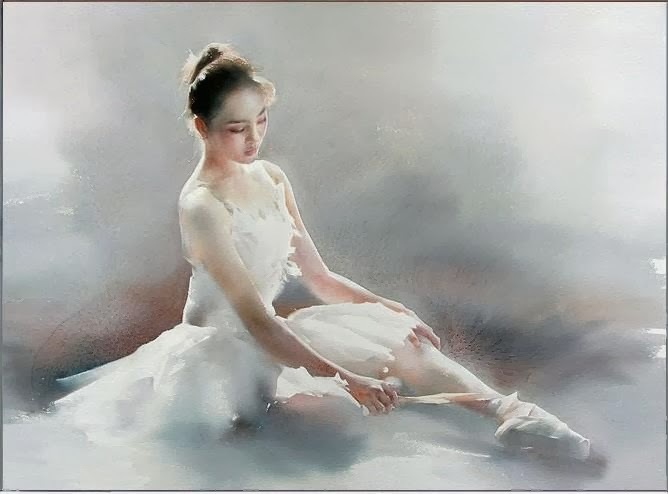 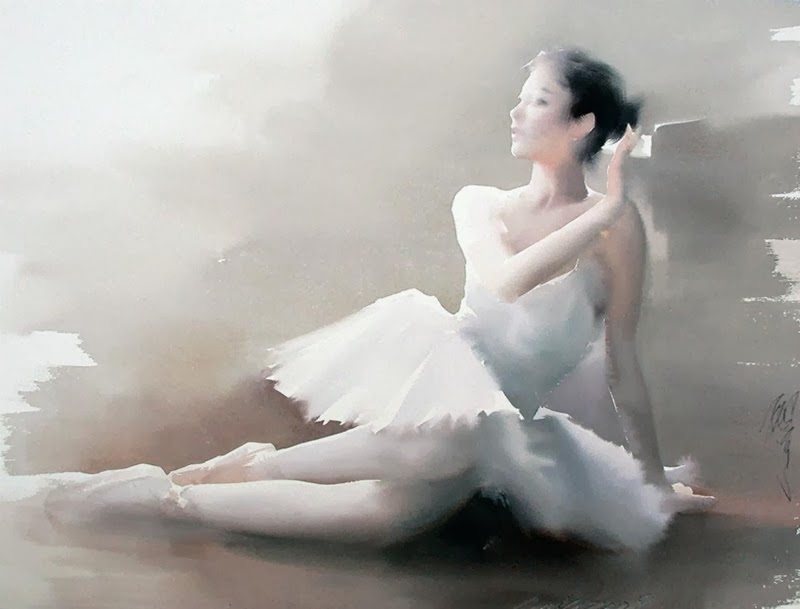 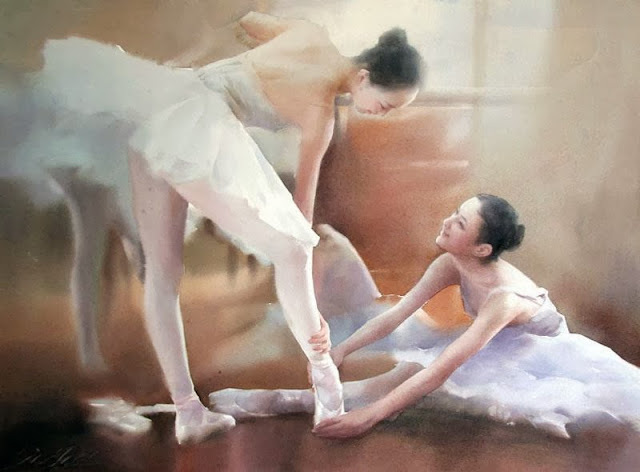 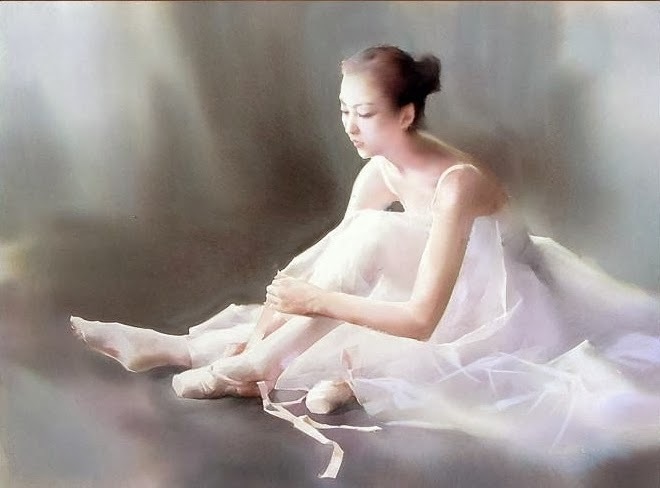 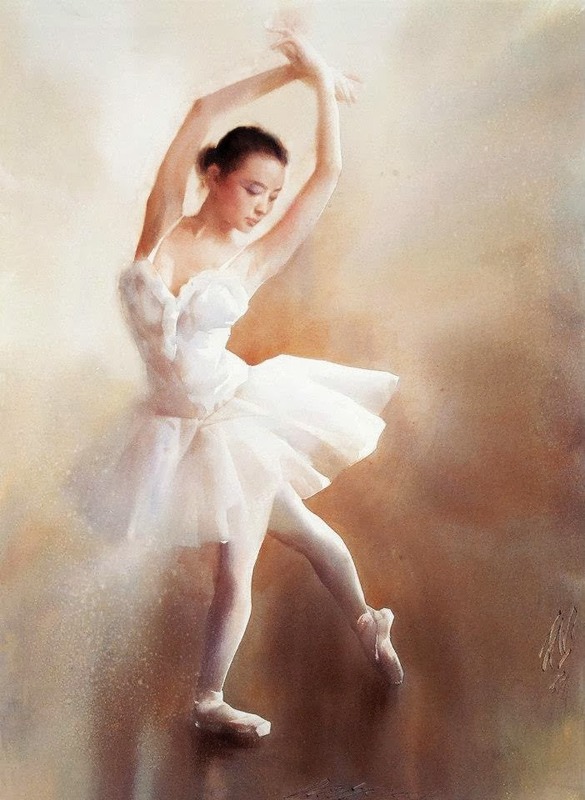 I have compiled some of the paintings from his ballerina series, hope you enjoy.